It’s well documented that I have an obsession with mini food things. Here’s a secret: I’ve always dreamed of starting a food blog solely for miniature foods. I would die of cuteness every single time I’d work on it. Maybe one day I’ll do it, but in the meantime, I’m pretty happy mini-fying every recipe that comes my way. 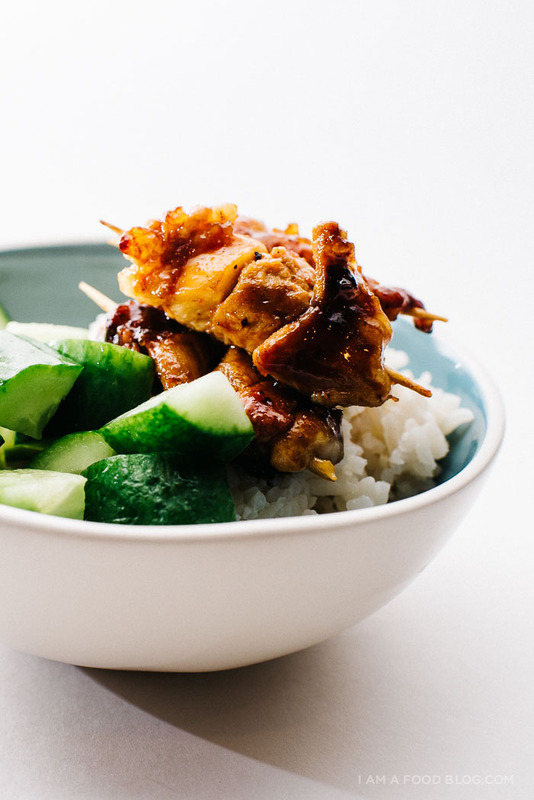 Take these sriracha honey chicken skewers from Billy, from Wit and Vinegar. They’re regular human size in his awesome new cookbook, Whip It Up, but I couldn’t resist making them mini. 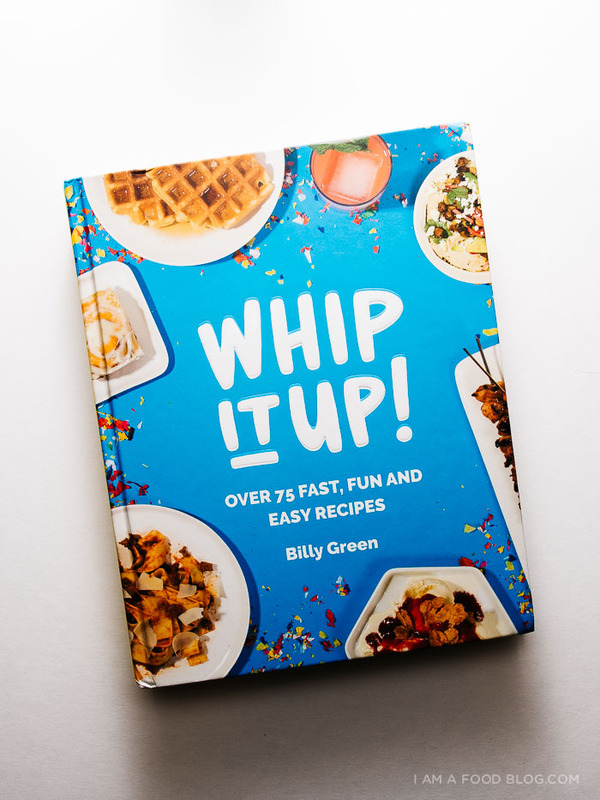 If you haven’t already checked it out, Whip It Up is full of fun and easy recipes that you can, literally, just whip up. The photos are bright and pop-art-y and the book totally brings a smile to my face. Sriracha and honey go together like best friends and once you get chicken in on the action, it’s totally a party. 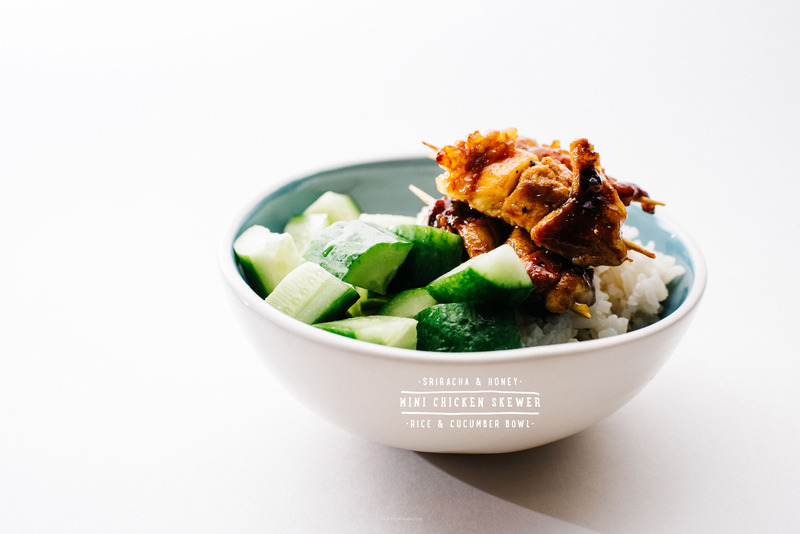 I served these guys with some rice and cucumbers to make it a sriracha honey chicken bowl, but I’ve also just snacked on them on their own. 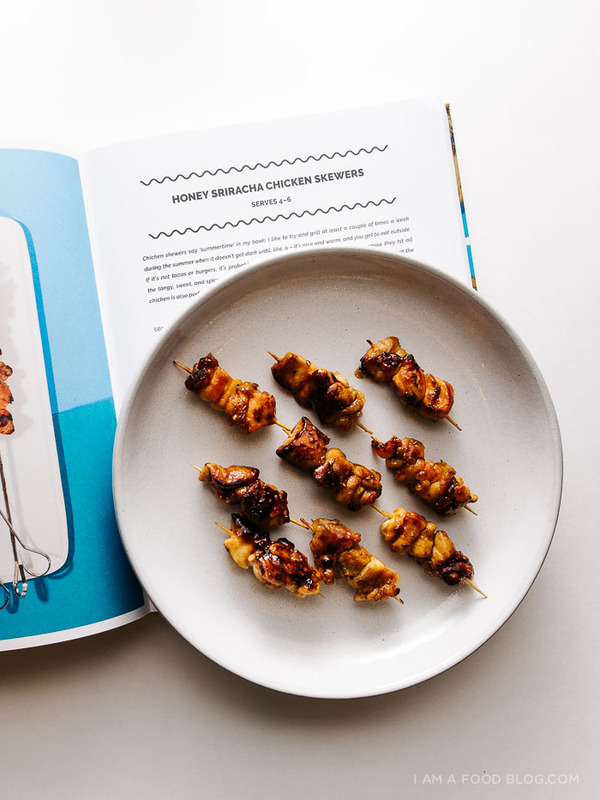 As mini skewers, they kind of remind me of chicken wings, but more meaty and easier to eat. Seriously saucy and delicious! 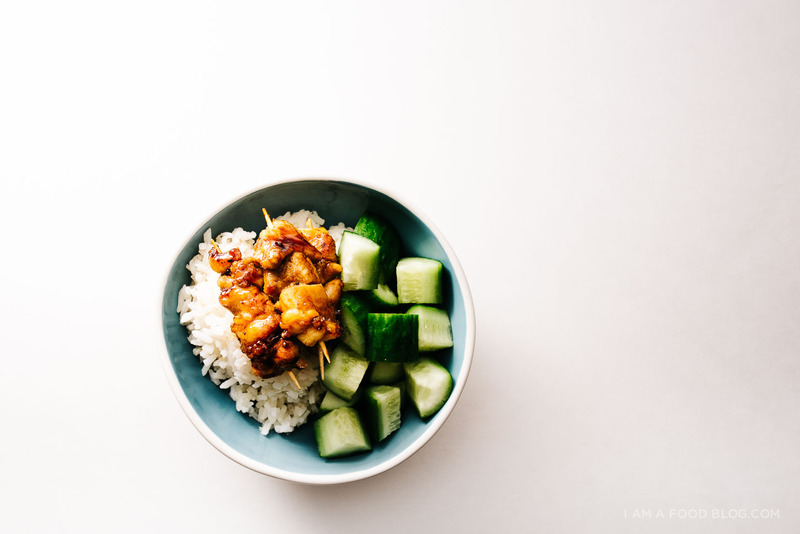 Whisk together the marinade ingredients in a small bowl. Add half the marinade to the cut chicken pieces. With the remaining marinade, bring to a boil in a saucepan, reducing slightly until thick, 2-3 minutes. Set aside. 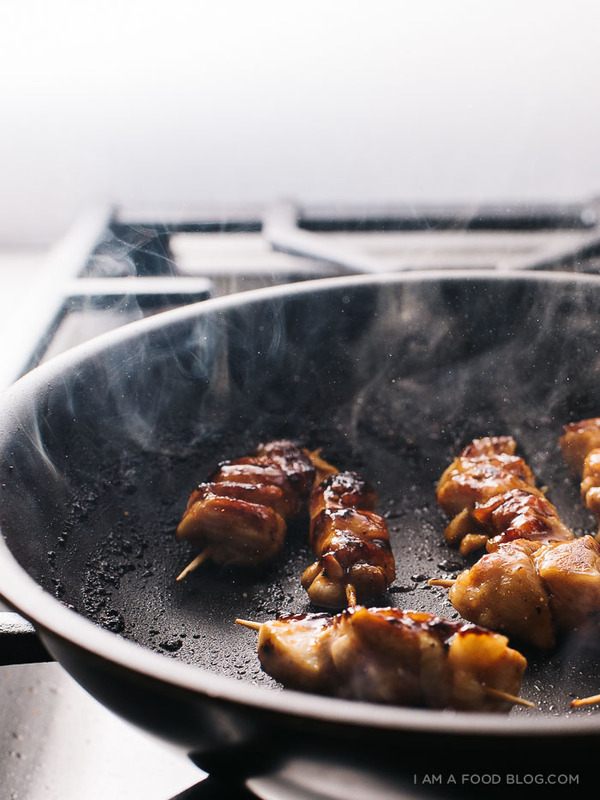 Skewer the chicken on toothpicks and then pan fry in a heavy bottomed non-stick skillet over medium high heat, until cooked through, 5-8 minutes. 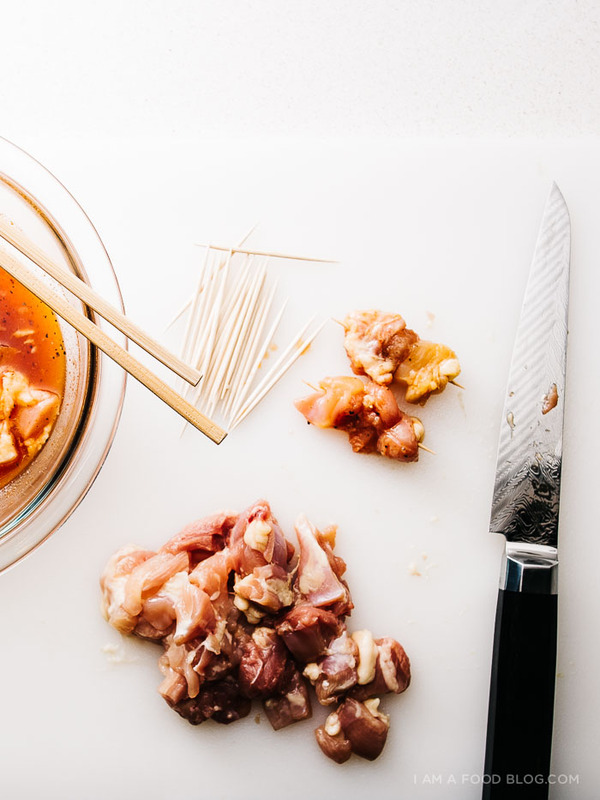 While cooking, flip and brush with the remaining marinade as needed. Enjoy hot! 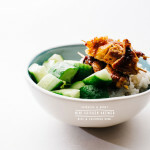 This looks so simple, and anything with sriracha in is a winner in my book! I take it you’ve seen those videos of hamsters eating tiny food right?! These look so good and so easy! I too have a weakness for adorable mini foods! So so cute! And YES, please start a side blog for all things mini haha. I would be so into that. Especially if everything on there is this adorable. Quick and Easy! Sometime simplicity is better. Can’t wait to try this out, thanks for posting. OMG. Looks healthy and delicious!!! Oh wow, yummy! I normally Always spice my chicken on the same way and that can get quite boring. This is a good idea, I think I’d like it with the honey! Think I will have to try this, looks delicious! This looks really amazing after completion. I must try it at my home.